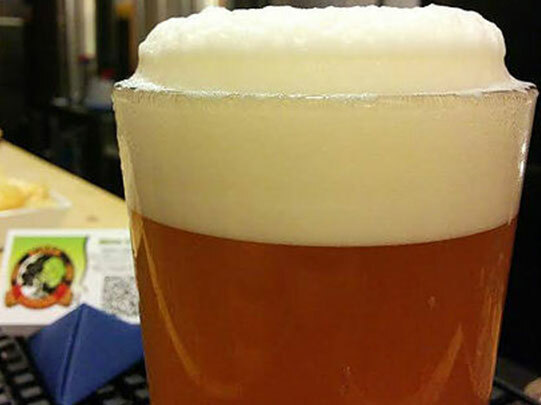 How often do you get to read about artisan beer in Italy? 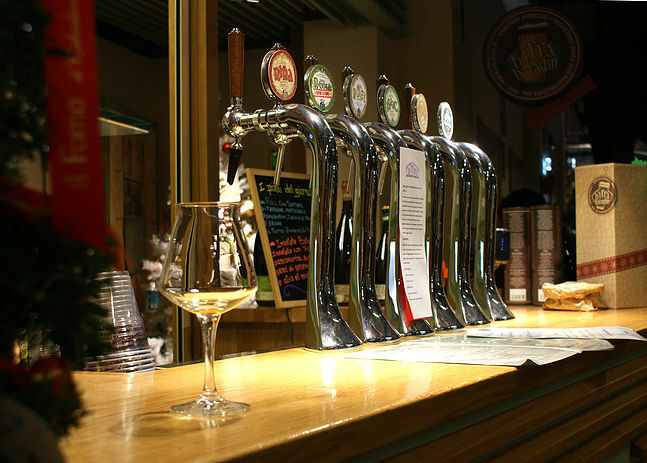 Check out this guide to great craft beer in Bologna, Italy. Even if you did get to read something recently (I myself wrote a feature on Great Italian Chefs not long ago), no doubt there is a lack of information on Italian beer destinations available to international travellers. Beer magazines are not particularly keen to fill this gap, so I’ve decided it’s time I do it myself…and there’s no better place to start from than my hometown, Bologna! Bologna is an awesome city (yes, I’m a bit biased). It’s home to the oldest University, it’s lively, small enough so that you can walk from one end to the other in about 30 mins, yet big enough to offer any sort of entertainment, and therefore cater all tastes and needs. I always claim Bologna is the international tourist’s perfect alternative to the usual Florence, Venice or Rome. In Bologna foreign tourists never feel trapped like rats in a cage and are always warmly welcomed by locals. Food, of course, is excellent…quite ‘pork-oriented’ I would say. 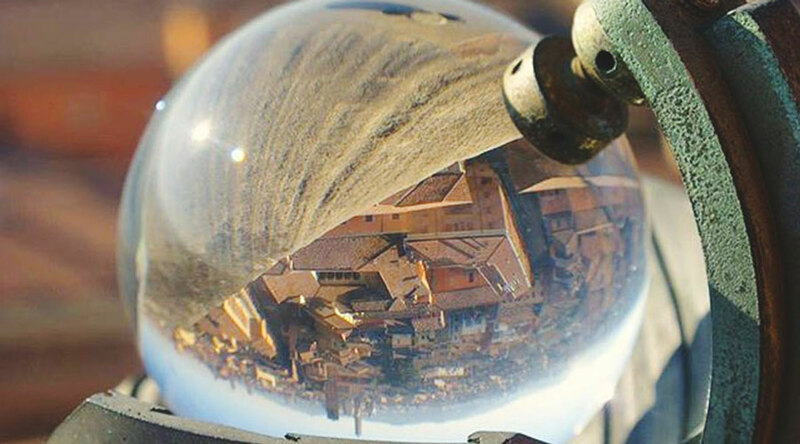 These are in short some of the reasons why Bologna is slowly attracting more and more international visitor, and it’s even acknowledged as being one of the top travel trends for 2016. In this article will guide you around the historical city centre and its outskirts to show you the best places to drink quality beer, and maybe eat something good too. Beer shops are plentiful and thy offer a huge choice of bottled beers, both from within the country and from abroad. This shop was the first of its kind to open in Bologna. In the 90s it was located within the University area, but in 2004 it moved to its current location (Piazza Azzarita), a bit off the beaten track. Since 2011, this beer shop also offers some 12 beers on tap (11 kegs and one cask), constantly rotating. This shop is found outside the historical center, nearby one of the main tourist attractions of this city: the beginning of the porticoes that lead to St. Luke Sanctuary. You may find there an excellent selection of renown labels and relatively new names. I guess many American foodies and beer fanatics know this brand, as Eataly shops are also found in New York and Chicago. 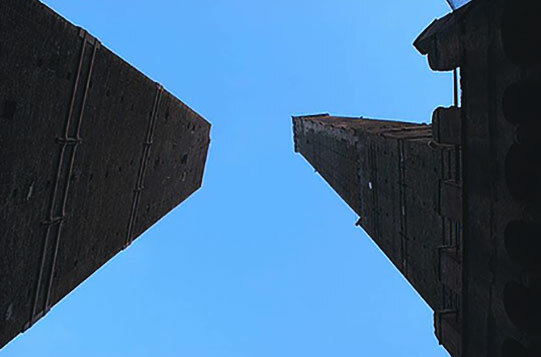 Baladin Bologna (a bar/shop owned by arguably the best known Italian microbrewery abroad) is not far from Eataly, and can be easily found by walking from the main square towards the iconic twin towers. Further beer shops are Il Pretesto – a mere two-minute walk from the Tana del Luppolo – and Beer for Bunnies, in the ‘Pratello’ area. The ‘Pratello’ has always been one of the most vibrant areas of the Bolognese nightlife; maybe it’s for this very reason that today lots of interesting beer places are popping out right there. 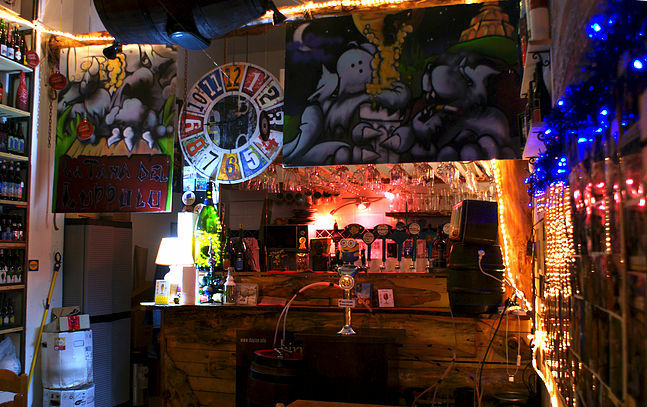 This place has eight beers on tap (7 kegs, 1 cask) and about 100 carefully-selected bottles. Most beers are local or at least Italian, but it’s also possible to find some very intriguing foreign brews. The food is also of good quality and is in most part cold, such as charcuterie, cheeses, paninis and bruschettas. Il Punto is involved in the organisation of the MicroBofestival. Next edition’s focus will be the newly-born Italian beer style: Italian Grape Ale [check out BJCP’s beer style guidelines if you wish to know more about this]. Just behind the corner one may find Brewdog Bar Bologna, the second Brewdog’s place ever to open in Italy (after Florence). If you want to know what’s on tap, check out their Facebook page, which they update regularly. 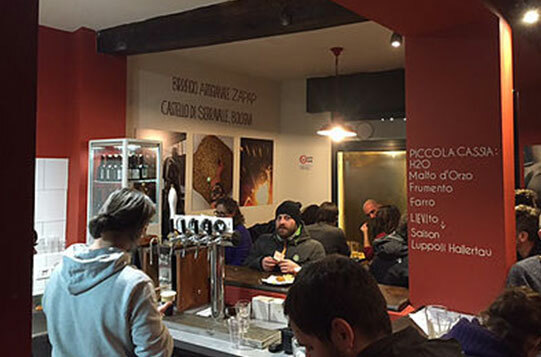 Very recently, in fact just a couple of months ago, local Zapap brewery opened a small pub in the Pratello area. It’s pleasantly unpretentious; it serves decently-priced pizzas and pints (4 kegs, 1 cask), and the offer is not limited to the Zapap range. The Red Brick has also opened very recently, and once again this is not far from the Pratello. 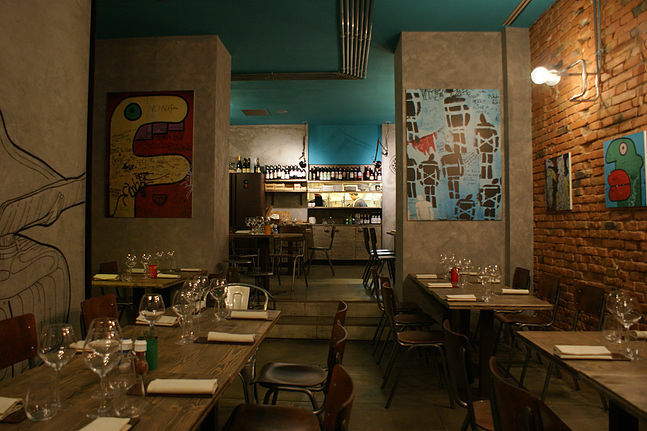 It’s a relatively small bar/restaurant, with very nice interiors and a bit of an ‘underground’ touch. Their food is pretty meat-focussed, although veg options are plentiful. Good quality, so go for it, at least a small bite. Six craft beers on tap, plus numerous bottles. Our pub crawl continues beyond the city walls, towards the Harvest pub. The area is not of great touristic interest (unless you need the hospital, which is a stone’s throw away), but I can assure a visit to the pub is worth the trip. Its staff is very knowledgeable, which come in handy if you don’t know any of the six beers on tap (5 kegs, one cask). One more thing: this is likely one of the smallest pubs you’ll ever visit in Bologna, so it’s perfect if you like cosy environments. Let’s now go back to the historic centre and visit Birra Cerqua. Although it just opened a couple of years ago, it’s already planning to expand: just as the Harvest pub, this is also a relatively small place and obviously the brewing equipment itself doesn’t help as it takes most of the room. However, just as the Harvest pub, the environment here is rather cosy and laid-back. So far Birra Cerqua worked on 14 recipes, which are in most part British- and American-inspired, and some even use local hops. Last but not least…Ranzani 13, craft beer mecca and one of the most popular pizza places in town. Despite its unfavorable location quite off the beaten track (San Donato area), Ranzani 13 is regarded as a first-class destination for any beer aficionado. Beers are sourced from top Italian breweries as well as world-famous names such as Mikkeller, De La Senne and Kernel. 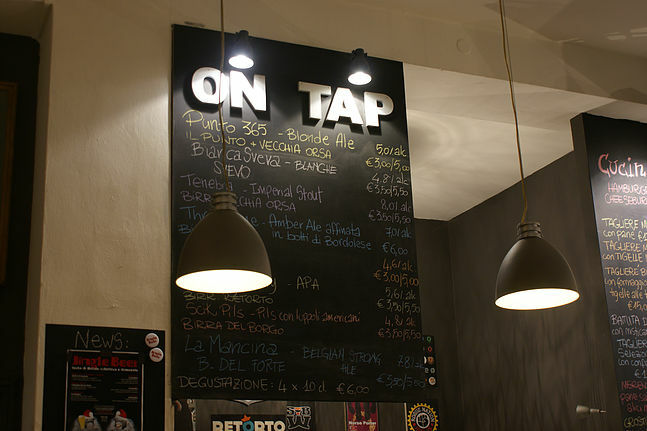 This article is by no means a thorough account of all beer places worth a visit in Bologna, but it’s definitely a good starting point. If you are a beer fanatic do consider visiting Bologna. There’s nothing better than enjoying a good pint in the gastronomic capital of Italy. If you’re a tourist and Canada is your destination, do something different – mingle with the locals by hitting up a local beer festival. If Canada is your home, chances are you’ll run into a beerfest near you at some point this year. There are dozens of great Canadian beer festivals all across the country offering up the best local and international brews.